Discover cosmetic masterpieces from the Utique Family! Enter the luxurious world of UTIQUE and admire the seven masterpieces in which we have hidden our top-quality creams. Our UTIQUE CREAMS contain revolutionary complexes specifically selected for FM WORLD! 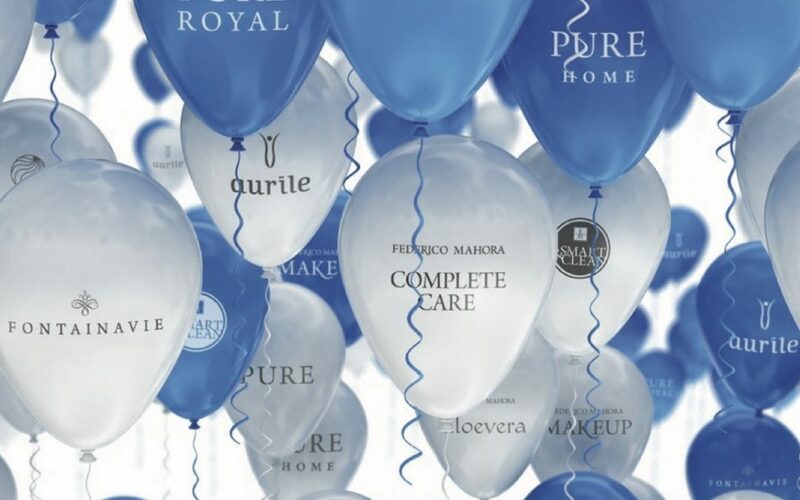 Allow yourself to aim for more and introduce a touch, and an aroma, of true luxury into your everyday skincare routine with Royal Perfection Day Cream; Advanced Age Control Night Cream, Eye Cream Complex; Anti-Aging Elixir Face Serum; Ultra Firming Bust Cream; Firming Complex Body Cream and Ruby Solid Parfum – the quintessence of luxury locked in a creamy texture! Utique Bubble will also be available in a handy 15ml bottle. The innovative NUTRICODE line has been created to meet today’s needs of the people. A perfectly selected composition of Active Burn Fat Killer will allow you to maintain the correct body mass and accelerate the fat burning process. Depurcontrol will provide relief to persons dealing with the problem of water retention in their bodies. Anti-Cellulite effectively facilitates the reduction of so-called orange skin. Dazzle everyone with the magic of perfume from PURE ROYAL. A wide range of exceptional fragrances for women and men – you will certainly find the one that will charm you and make you feel truly royal. You will find 17 new perfumes (13 for women and 4 for men) and also the scents you love in tasteful, timeless bottles from the LUXURY COLLECTION. But that is not all… The fragrances from the LUXURY COLLECTION, which so far have had the status of eau de parfum, now have a higher perfume concentration and have turned into exquisite PURE ROYAL perfumes. The COMPLETE CARE – a line of high-quality products that are a real must-have in your home. Their wide rage and efficacy will make you fall in love with them after the first use. Now we have enriched the COMPLETE CARE line with new, fantastic products. They include specialist Toothpastes: whitening, reducing teeth sensitivity and improving the condition of the gums, as well as a Mouthwash with a mild mint flavour and a transparent formula without artificial colourants. A Smoothing Hand Peeling and Nourishing Hand Cream will make your hands your most beautiful asset. Your hair will become healthy and beautiful thanks to our new shampoos: for Fine and Flat, Dry and Damaged and Colored Hair, as well as a Shampoo for Men and Conditioner for Dry and Damaged Hair. The new addition to ALOE VERA range! An Enzymatic Facial Peeling gently removes the dead cells and thoroughly cleanses the skin leaving it in a perfect condition. An incredibly rich formula of the Revitalizing Facial Mask will take great care of every skin type. Give your life an incredible flavour with sweet treat from AURILE! Top-quality coffee and tea require appropriate company. They are best served alongside the sublime sweetness of AURILE – Milky Delight Chocolates and Joy Chocolates, which will brighten up even the dullest of days with a burst of blissful sweetness. For lovers of refreshing flavours we have prepared fantastic Cooling Mints. The specialist SMART & CLEAN products are developed based on a combination of groundbreaking scientific discoveries and the functionality of everyday use. The new Innovative Antibacterial Cloth easily removes annoying dirt from phones and tablets such as greasy fingerprints, dust or smudges. The unique, exceptionally soft microfibre structure has additional antibacterial properties ensuring hygienic cleanness without the use of detergents. And if you are into the refreshing products, check out the new scents of Home Perfumes and Vacuum Fresheners. Charming Alley – a subtle duo of rose and musk scents gives the room a romantic aura. Green SPA – an energising combination of aloe vera and a green cucumber accord will have a positive and relaxing effect on you.